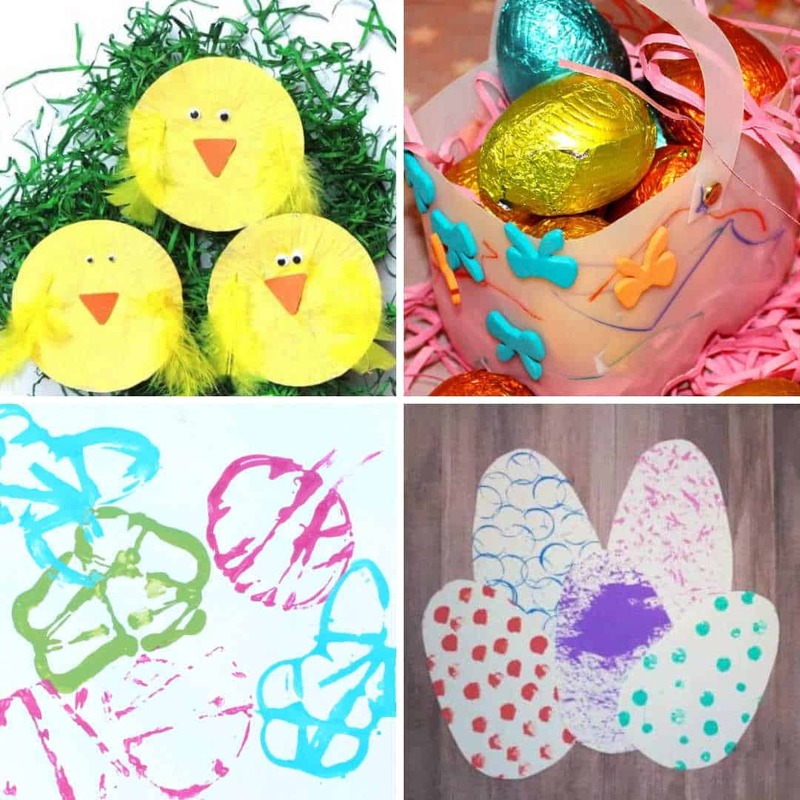 We have some fantastic Easter ideas for toddlers for you! 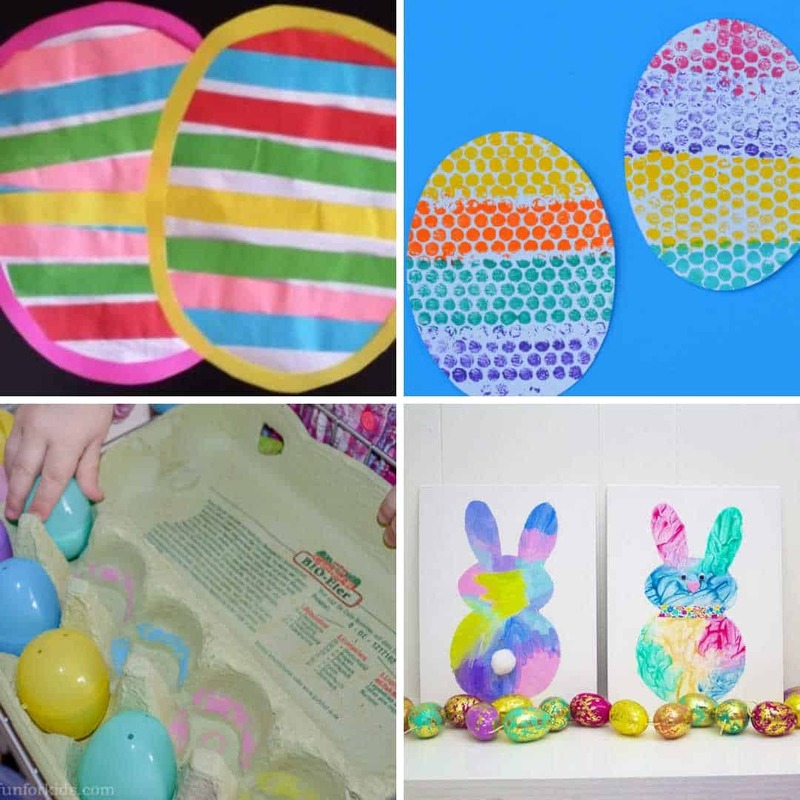 Lots of fun toddler and preschooler Easter crafts and Easter activities. 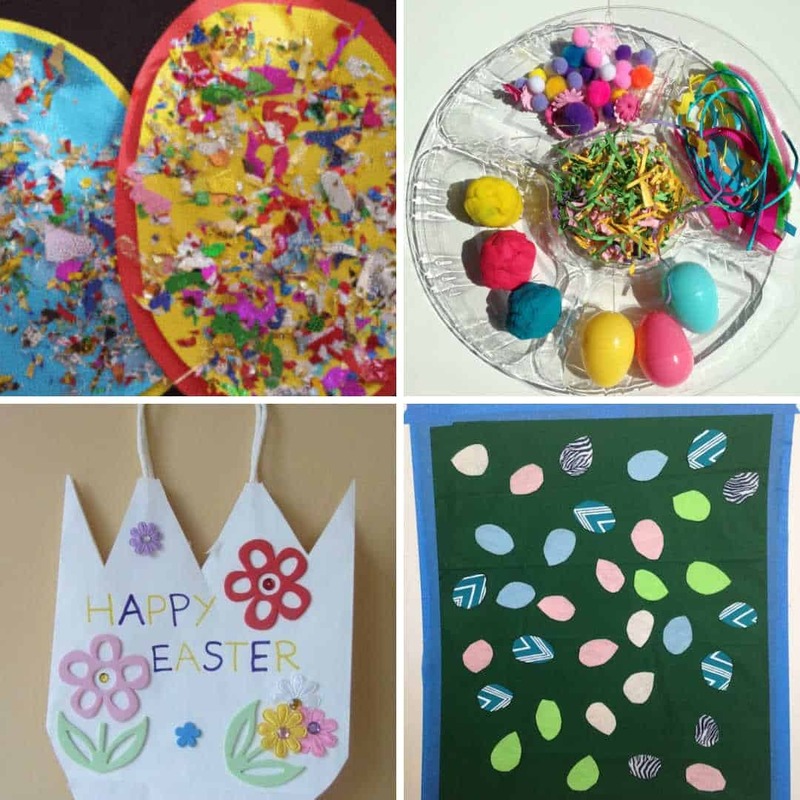 I love Easter – it’s a great time to get out the crafts and do some fun Easter activities. 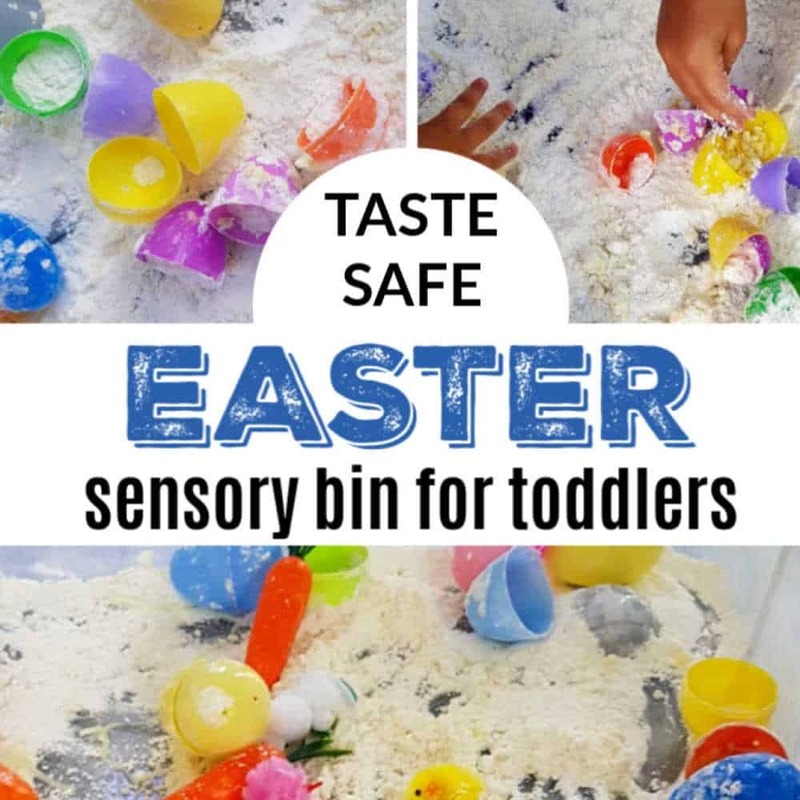 We’ve selected some Easter ideas that are easy enough for a 1,2 or 3 year old to do, but also can be extended for older kids to join in too. 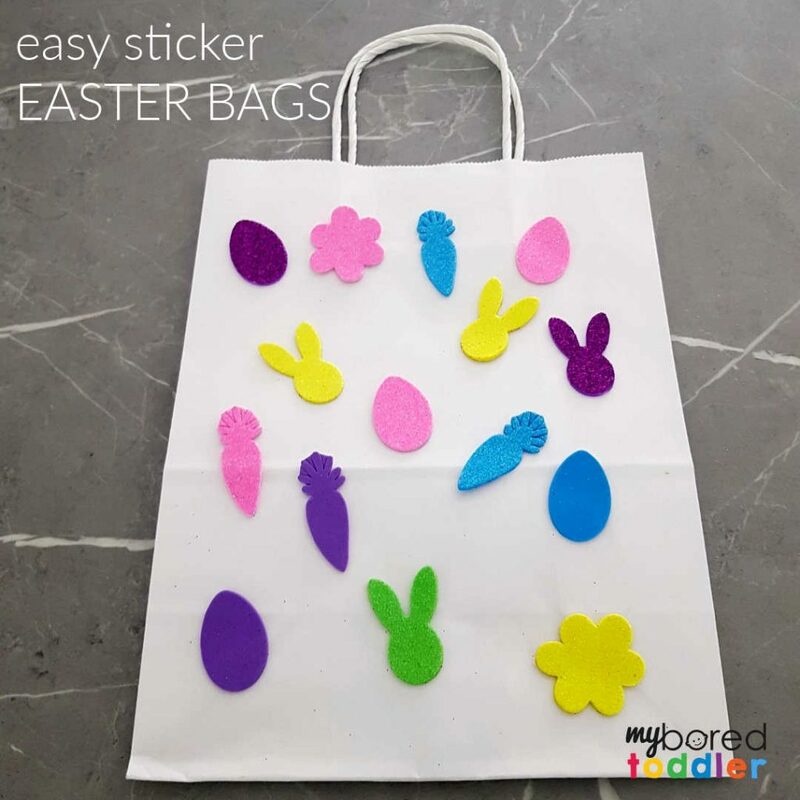 We’re also going to be sharing lots of toddler Easter ideas in our Facebook group and on Instagram too. 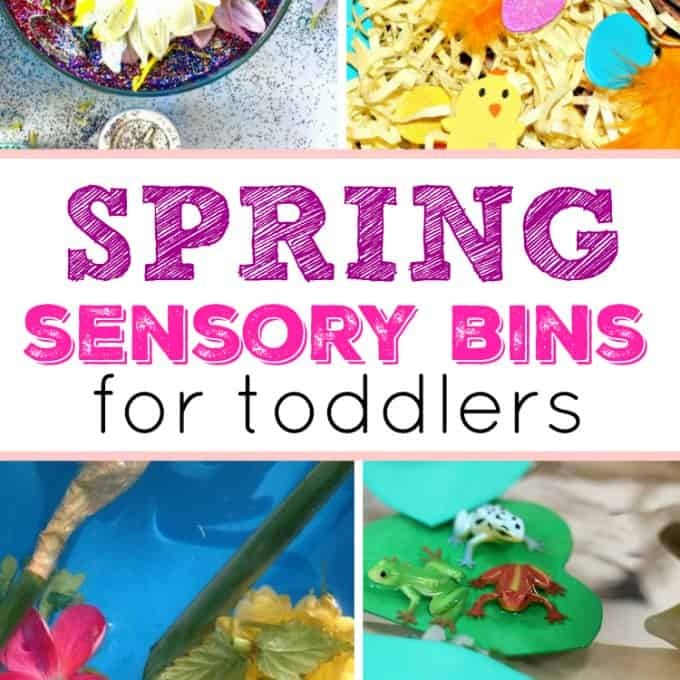 If you loved these activities why not pin this post on Pinterest. 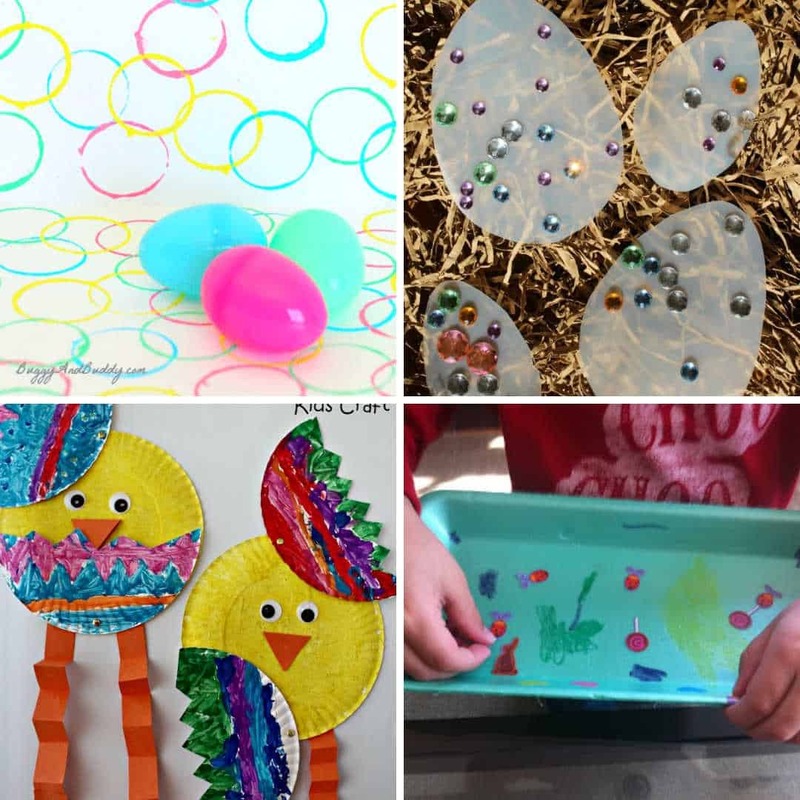 You can see more toddler Easter ideas on THIS Pinterest board. 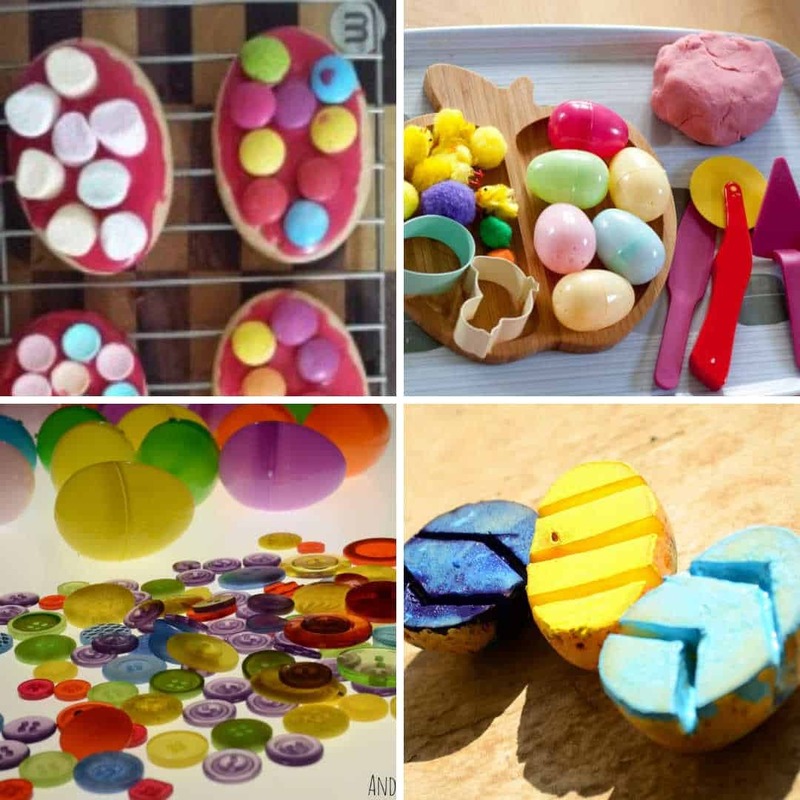 Loads of fab ideas, my children would love the fizzing easter eggs. Such a fun activity and cheap too! Thanks! Thank you! Would love to see what you create! Great post & great ideas! 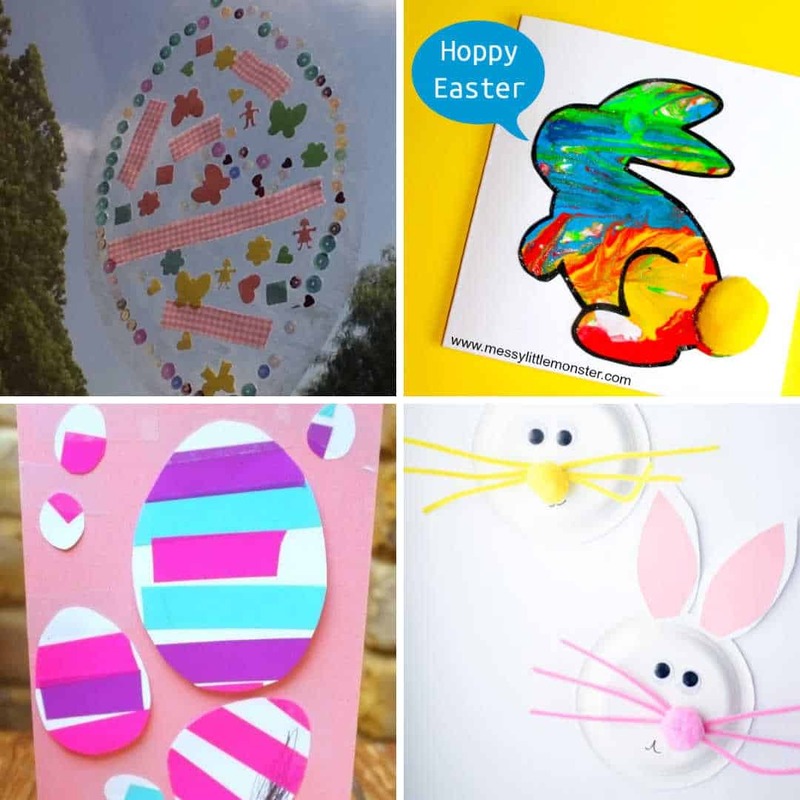 A great selection of Easter ideas! My favorite was the candy filled cookies. So cute! Love the idea of Easter Marshmallow bark! My ‘big kids’ are always playing around with baking soda and vinegar. 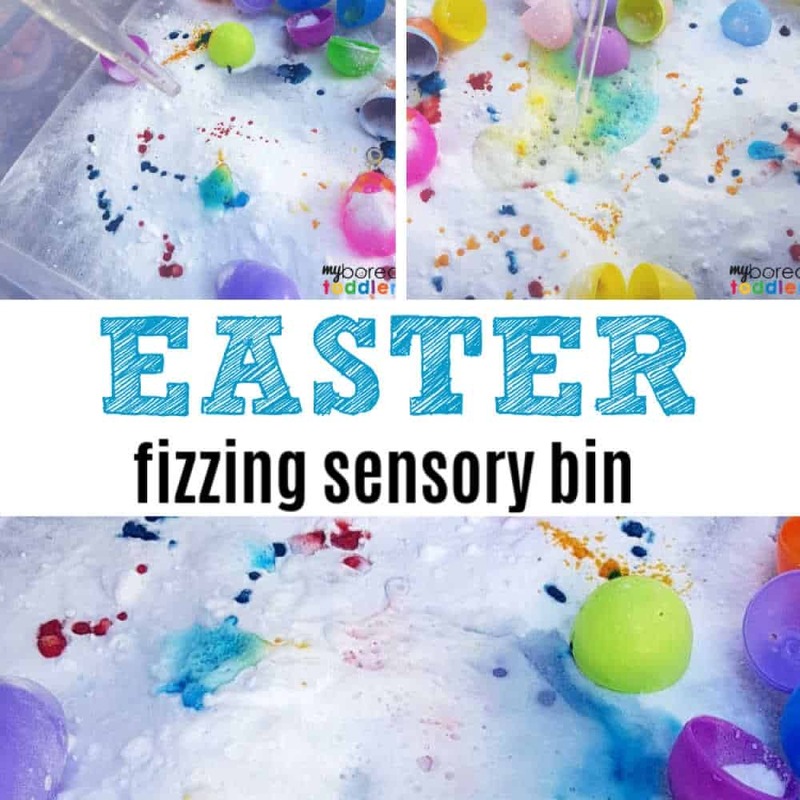 They will love the fizzing egg idea. Thank you! 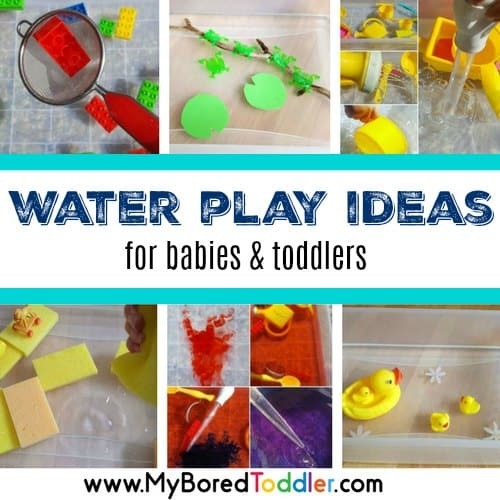 You have a wealth of ideas here for a toddler! Those little cardboard chicks are ADORABLE! Also good to develop fine motor skills! Love the carrot poke cake and the DIY Chalkboard easter eggs. The kids have a whiteboard that they love but have been asking for chalk so this would be perfect. 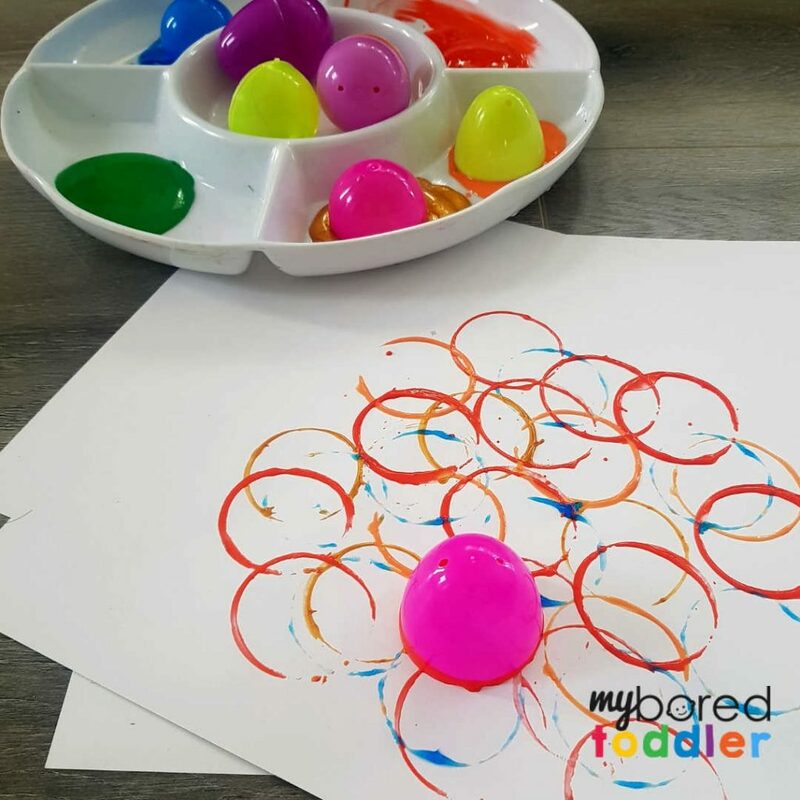 These are all absolutely fun Easter activities for toddlers! I am loving the Pastel Egg Cookies and Easter Marshmallow Bark! I think I will make those with my toddler nephews and nieces! Thanks for the ideas! I think the bubble wrap and potato stamping ideas are so fun and unique! Happy Easter! Those pastel egg cookies are climbing to the top of my lust-have charts. They look absolutely delectable! There are some really amazing ideas! Loved the black eggs, they look so amazing! These will keep us busy for some time. I love the chalkboard Easter eggs. This is a great list to keep the kids busy. 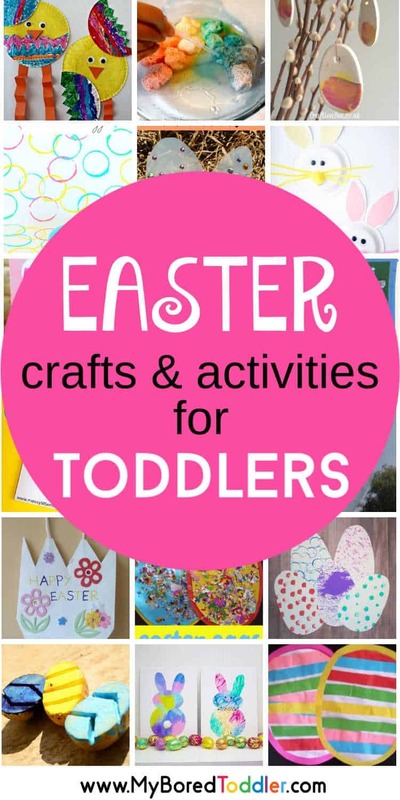 Who knew there so many great Easter ideas for toddlers. I don’t celebrate the holiday, but if I did, I’m glad to know I could find lots of ways to entertain my nieces and nephew. I must say my favorite were the Reeses Pieces eater cookies! Reese’s are my favorite chocolate and this cookies just looked delicious! I am like a Cookie Monster! So many great ideas. My daughter loves doing crafty projects. I love the toilet roll chicks! 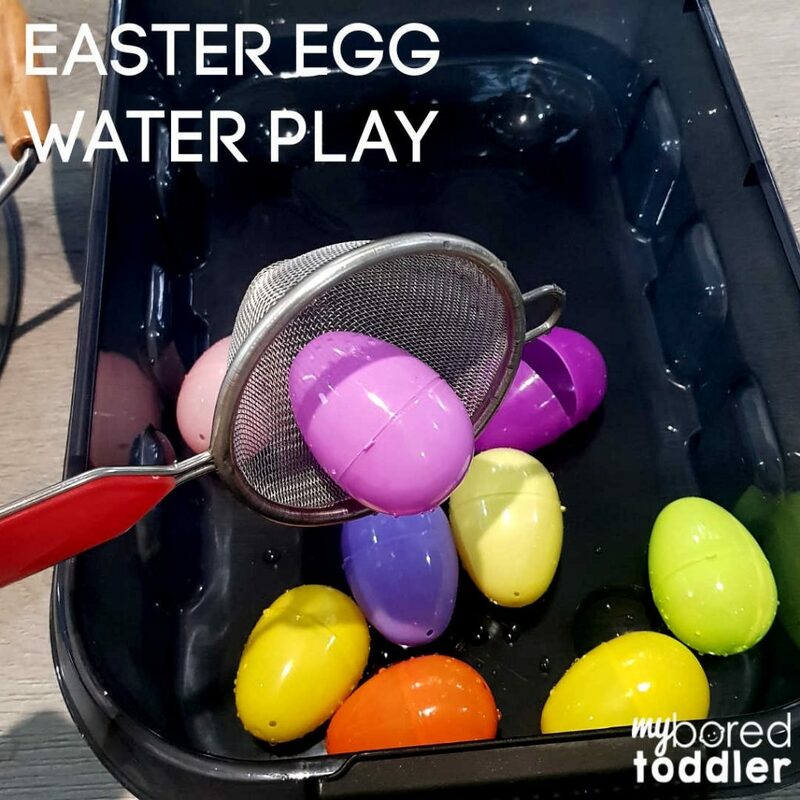 they would be so easy to sort out and do, to be honest there are some fab ideas on this list to keep the toddler amused this easter! So many great and wonderful things to do with the kids over easter. My fav is the egg painting. 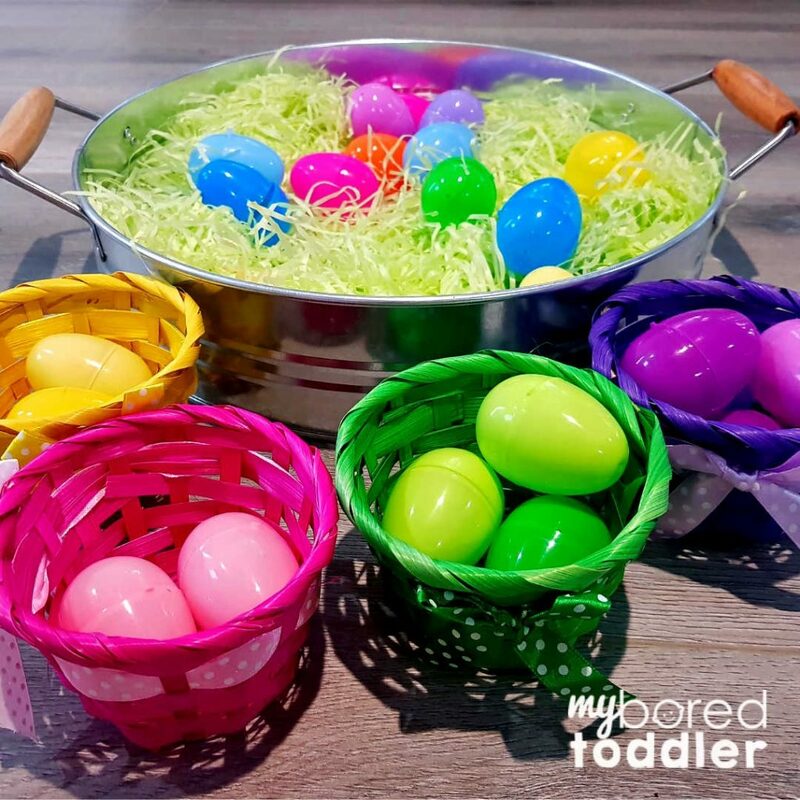 Great toddler Easter roundup. I think even my 6 year old would enjoy doing a lot of these. I need to get my Easter game on. Super cute ideas! The paper plate Easter Chick is adorable! I love the paper plate easter chicks! What a cute idea! 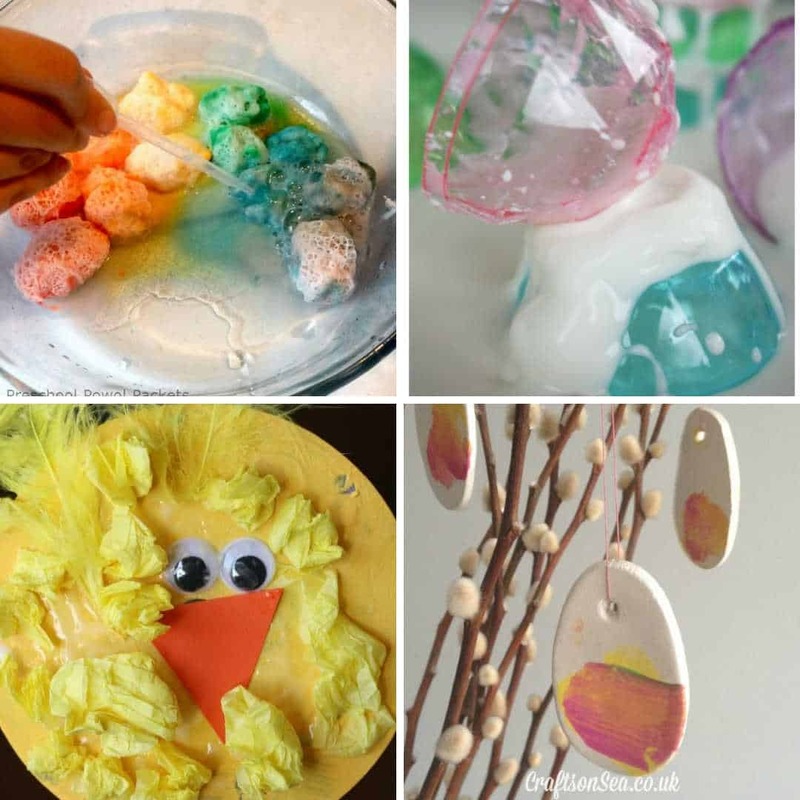 I am always looking for easy crafts to do with the kids. I no longer have a toddler in this house but these are cute! I am passing these on for those who do! wow you have complied quite the list ere with so many great ideas. I don’t think the toilet paper roll crafts will ever get old for me as they always turn out so cute. So many great ideas! 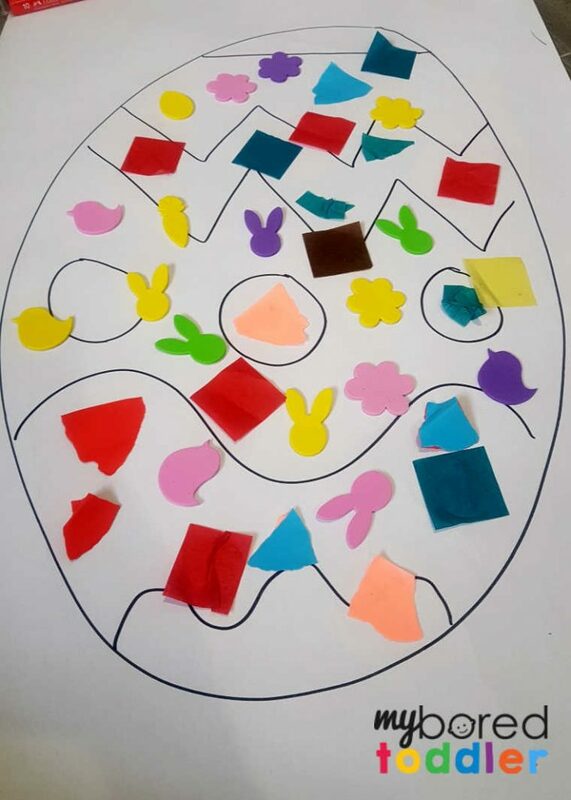 Easter fun for kids of all ages. Love it! What fun ideas! I love the Chalkboard Easter Eggs, too cute and so fun! What a collection of crafts and food for Easter. These are an amazing collection. I don’t know which to do first. There are some really cute ideas here. I love the carrot poke cake idea! Super adorable! OMG, I love all of these ideas, I don’t know where to start. I think the chalkboard Easter Eggs, the bubble wrap art and the Reese’s Pieces cookies win in my book. Thanks for sharing, pinning. 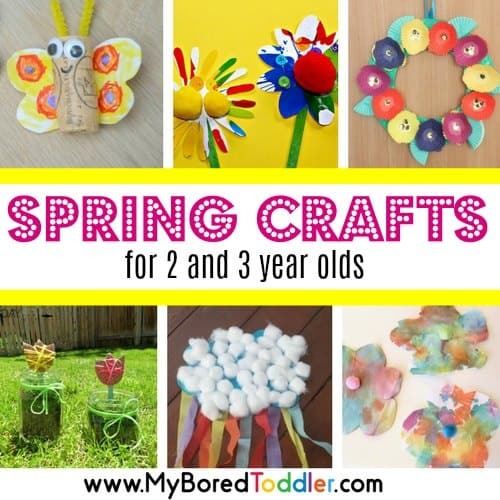 I know that my three year old LOVES A good arts and craft project so those ideas are at the top of our list! We are doing easter eggs but skipping the dye. Doing stickers and gems! Wow, this is a fantastic round-up. Also, those Candy-Filled Easter Egg Cookies look so delicious! Great Round Up! Thanks for including our Giant Easter Eggs! I don’t have any children yet, but that Easter marshmallow bark is so up my alley! Thanks for sharing this roundup. 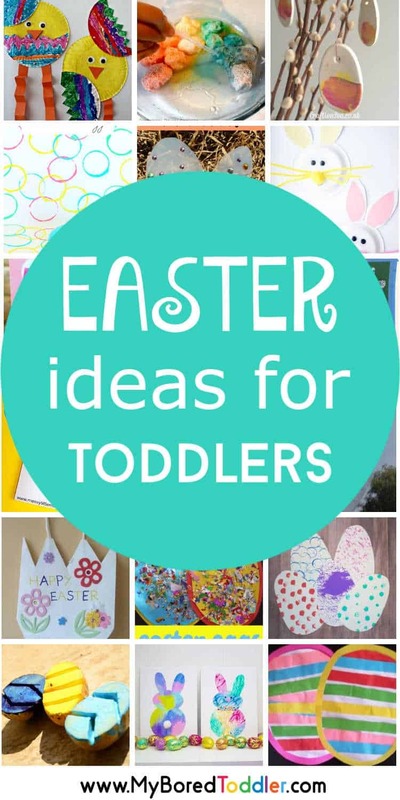 You have so many great Easter ideas for toddlers here that it’s hard to pick a favorite! The bubble wrap painting looks like fun, and that bunny mask is completely adorable. Thanks for sharing all these with #EverythingKids. Love this round up! Thanks for sharing. So many great activities. My granddaughter will be 3 on Easter Sunday. I will be doing some with her!